In the years between when I went vegetarian and vegan, one of the only things holding me back were caramels. There is nothing quite like the sweetness of caramel flavor in your hot chocolate, on your ice cream, or, even better, just straight out of the package -- hard and soft caramels. 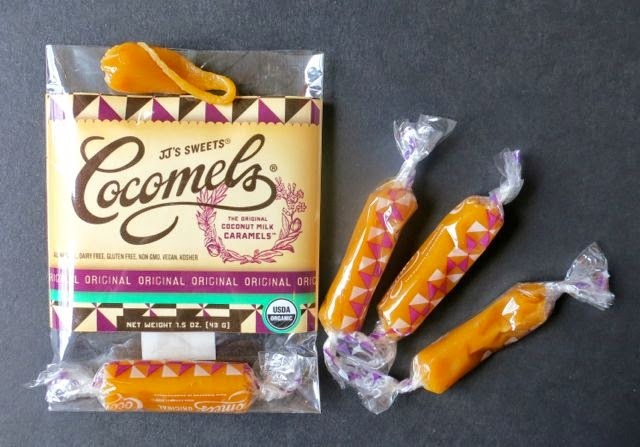 It was really the moment I discovered JJ's Sweets Cocomels that I realized that vegan wasn't going to be so difficult after all. 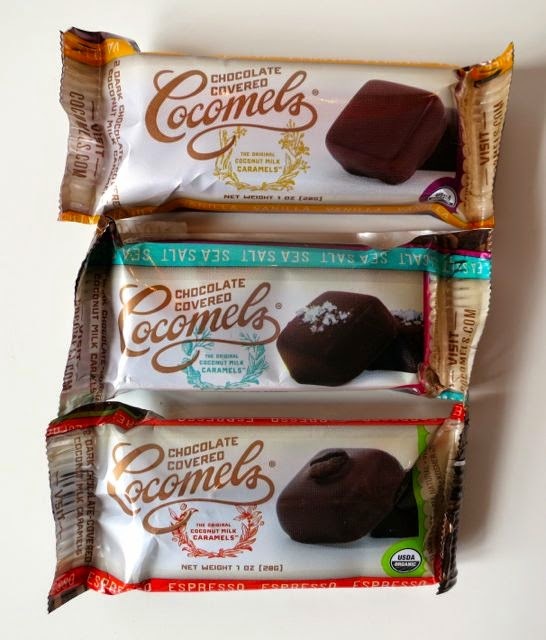 When they started back in 2009, JJ's Cocomels were a game changer. 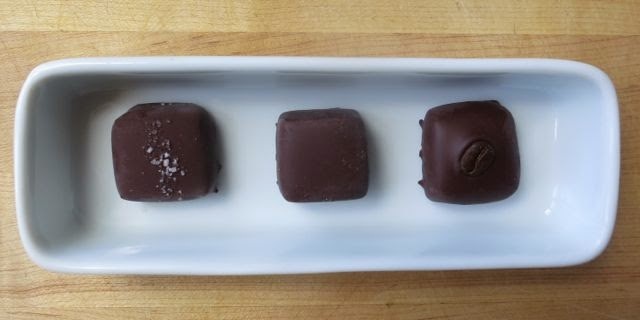 At a time when caramels were made by mixing butter, heavy cream, corn syrup, and white sugar together, JJ's changed everything by not only veganizing caramels, but making them as healthy as they possibly could be. They are everything you ever remembered in a caramel, but even better. Yeah, I actually think they are better than the typical non-vegan caramels made with milk. 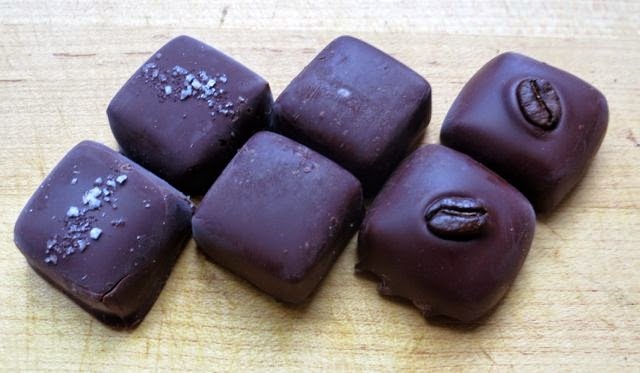 JJ's makes both soft caramels and hard chocolate-covered caramels. They are all so good, I really couldn't say that I like one more than the other. I guess if I had to pick a favorite, it would be the chocolate-covered ones with sea salt. You bite into this semi-hard caramel and you get the sea salt followed by creamy chocolate followed by chewy coconut-inspired caramel. It's truly amazing. It's not too sweet and is just the right balance of chocolate and caramel. These would satisfy the most discerning caramel lover. Other flavors include vanilla and espresso and how I love that the espresso has an coffee bean on top of it! So what is a chocolate-covered Cocomel made of? The ingredients are coconut cream, brown rice syrup, evaporated cane juice, chocolate, vanilla extract, sea salt, and xantham gum. The icing on the cake is that they are organic and, therefore, non-GMO as well. How many chocolate candies do you know of that are certified organic? Not many. So they've really gone the extra mile. Then there are the soft, chewy, naked caramels. By not coating these with chocolate, you really get the full coconut cream taste melting in your mouth. These are also truly amazing. They are made with the same ingredients of coconut cream, brown rice syrup, evaporated cane juice, sea salt, and xantham gum. That's it. I gave some to some non-vegans and they were floored by how good they were. 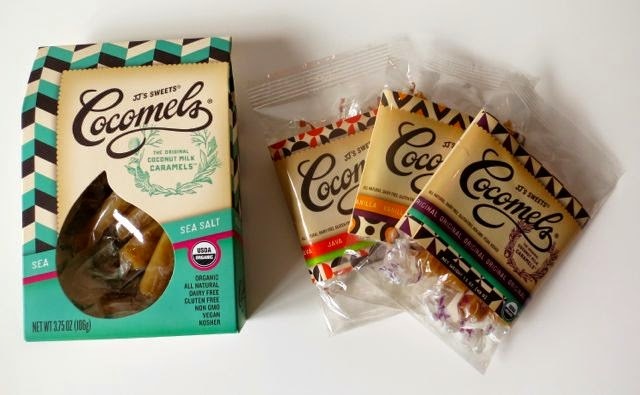 The naked Cocomels come in original, java, sea salt, and vanilla. I loved the java flavor as you can actually taste the java bits inside. These decadent, melt-in-your-mouth caramels will transport you to a caramel wonderland from which you may never want to return. To get there, you'll have to buy some of these caramels, which you can find at Amazon here . While you are doing that, I'm going to bathe my body in a sea of Cocomels...one can dream, can't she? !